I first heard of Alasdair Roberts on the Fruit Tree Foundation album. The Scottish singer and guitar player uses a scordatura technique to deliver folk-influenced music that sounds like little else on offer in today's musical marketplace. 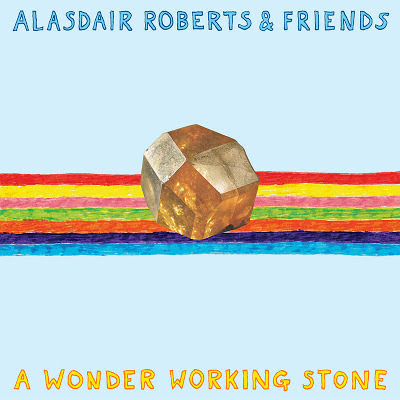 A Wonder Working Stone, out on 22 January on Drag City, is a 2 LP/1 CD set of resonant and haunting tunes from Alasdair Roberts and friends (Ben Reynolds on electric guitar, Shane Connolly on drums, Rafe Fitzpatrick on fiddle, Stevie Jones on bass, and Olivia Chaney providing some guest vocals). 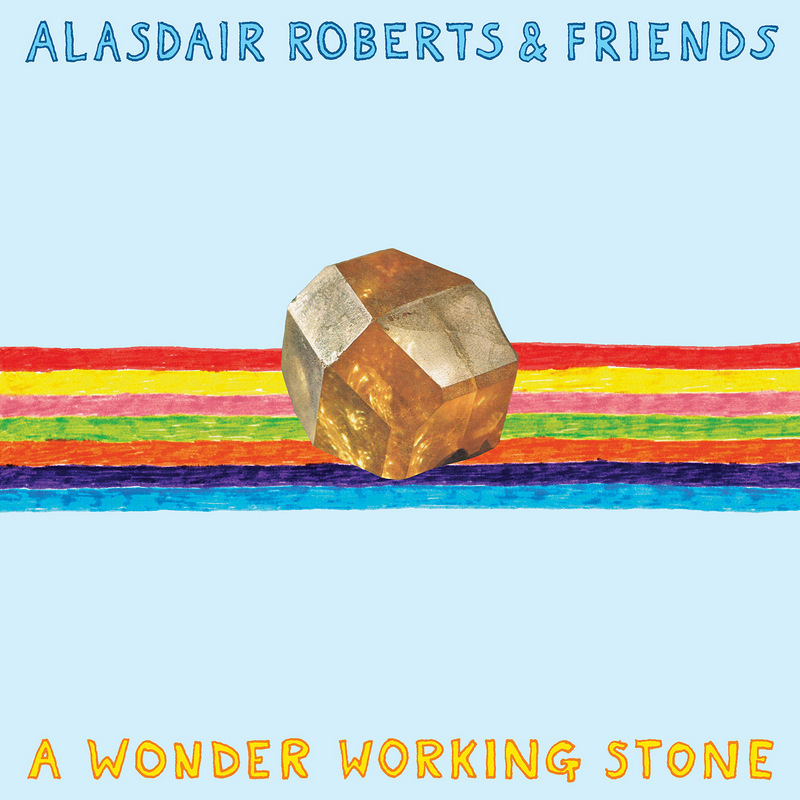 A Wonder Working Stone is a collection that straddles the line between folk and rock. Closer to the work of Bert Jansch and Richard Thompson than to more traditional folk-rock pioneers, the record rewards an attentive listener. 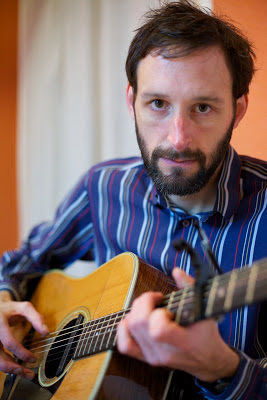 Spanning 10 tracks over more than an hour -- no track here is under 5 minutes -- A Wonder Working Stone is an epic journey through familiar folk territory that's tinged with flashes and splashes of guitar fury. "The End Of Breeding" recalls Sandy Denny, as well as those classic Richard and Linda Thompson records. It's a haunting and enveloping cut. "Brother Seed" opens with gentle plucking from Roberts and continues into a nearly hypnotic and ruminative number. "Fusion Of Horizons" uses blues-y, Jimmy Page-like guitar-lines to great effect. It's a near-drone in spots, but it's also one of the highlights of the record. Near the record's end, we get "The Laverock in the Blackthorn/Oganaich An Oir-Fhuilt Bhuidhe/Niel Gow's Lament For His Second Wife" which offers up three traditional folk-tunes in one blast. Add in Olivia Chaney's splendid vocals on top of Roberts' unique guitar-lines and it feels like you're hearing something entirely new but backward-looking. The spirit of the folk music is what's important here and not some slavish attempt to replicate the tunes of an earlier era with ghostly and creepy precision. Again, I've got to go to that Richard Thompson well for a comparison as, clearly, Roberts is in that small circle of musicians who can do what Thompson did so well already. 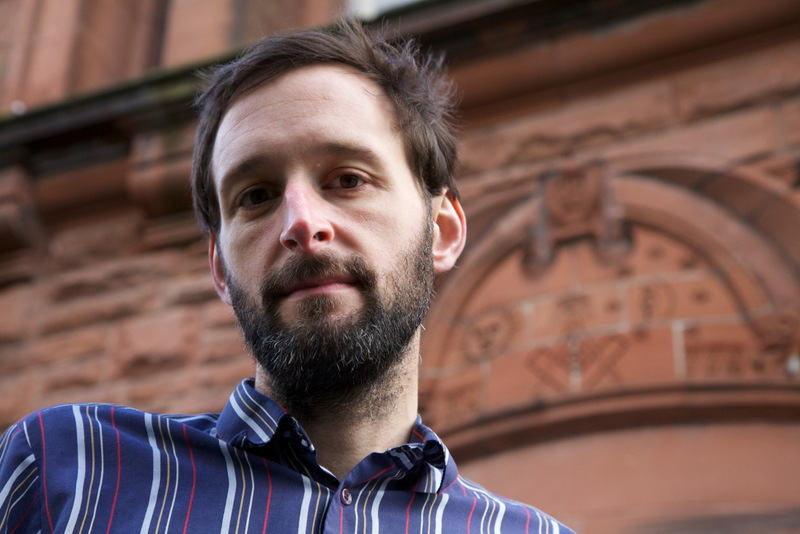 Mournful, speculative, soaring, contemplative, A Wondrous Working Stone from Alasdair Roberts and Friends is a double-album's worth of rich tunes. It is released on 22 January on Drag City.